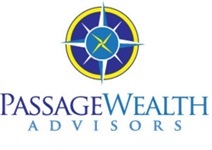 Laura Stone Shifflette helped establish Passage Wealth Advisors in 2006, and today provides investment and wealth management services to the firm’s clients, with an emphasis on providing comprehensive, customized solutions which accurately reflect each client’s individual circumstances. She has been involved in the investment business for nearly twenty years. Laura works with high net worth individuals, business owners, family offices, foundations, retirement plans and corporations, and specializes in helping clients manage challenging and complex financial issues. Prior to her involvement in Passage Wealth Advisors, Laura was president and owner of Shifflette & Associates, providing general strategic & business consulting to a broad array of clients. In 2003, she was tapped to serve as Interim Executive Director for Washington Wins!, a joint effort between media partners and WSA (formerly the Washington Software Alliance), spearheading the feasibility study of a program to combine grass-roots democracy with economic development efforts in the State of Washington. Prior to her consulting work, Ms. Shifflette spent 17 years in the transportation business as a owner and senior executive of several companies, which encompassed two turnarounds and one startup. Her responsibilities have included: oversight and negotiation of a leveraged buyout and subsequent turnaround; strategic and financial planning, setting policy, monitoring of strategic business units, contract negotiation, litigation, insurance, information technology, human resources, spearheading of initiatives, and administrative and financial functions, including oversight of eight outlying offices. She also represented her company on the board of directors of the industry national trade association and in congressional lobbying efforts in Washington D.C. She was the first female vice president in one $100M private corporation. Prior to this, Laura was part of a “turnaround team” for a small tug and barge company, and helped return the virtually bankrupt company to operating profitability. This followed her early years at a $1B privately held marine transportation company holding increasingly responsible positions and participating in operations in Western Alaska, Hawaii, and Prudhoe Bay. Her solid business background enables Laura to more readily comprehend the sometimes complex needs of her high net worth clients and to assist them more efficiently. Ms. Shifflette holds a designation as a Certified Wealth Strategist ®), as well as her Series 7 and 63 securities licenses through First Allied Securities. She is also licensed to provide Life, Disability, Variable and Long Term Care Insurance. Laura was born in Paris, France, graduated from Lakeside School in Seattle, Washington, earned a B.A. from Pomona College, Claremont, CA., in International Relations, and an MBA from City University. She also attended L’Université de Paris: La Sorbonne, l’Institut des Études Politiques, IPFE. Ms. Shifflette is fluent in French. Her leadership roles in community service and professional organizations have included: Executive Committee & Board of Trustees, PONCHO; Executive Committee & Board of Trustees, Seattle Symphony; President Seattle Symphony Volunteers; Lakeside School Board of Trustees and Planned Giving Advisory Committee; President, Lakeside Alumni Association; President, YWCA Endowment Guild; Member, Seattle Chamber of Commerce Quality Task Force & Roundtable; Lobbyist, Women in Mining, Washington DC; and Board of Directors, American Waterways Operators, Arlington, VA. She sits on various committees at the Rainier Club and Seattle Yacht Club. Laura, a third generation Seattleite, lives in northeast Seattle with her husband, Michael Passage, and their two cats, Isabella and Sophia. They are avid boaters, and own an award-winning classic 1926 wooden powerboat, Faun. She enjoys boating, skiing, bicycling, tennis, running, snowshoeing, swimming, and scuba diving. She is an avid reader and traveler, a passionate gourmet cook, and wine devotée, and an erstwhile acrylic painter.